Sebastian H. Mernild , Ph.D., Dr. Scient. Dr. Scient. Sebastian H. Mernild is CEO and a Full Professor in Climate Change and Glaciology. He is the CEO of the Nansen Environmental and Remote Sensing Center (NERSC; also known as the 'Nansen Center') in Bergen, Norway. At present, he is also affiliated (20%) with Western Norway University of Applied Sciences, where he is a full professor in Climate Change and Glaciology. Mernild is e.g., also a member of the board at The Bjerknes Centre for Climate Research (also known as Center for Climate Dynamics (SKD)), Bergen, and Lead Author on the upcoming IPCC AR6 Climate Report. 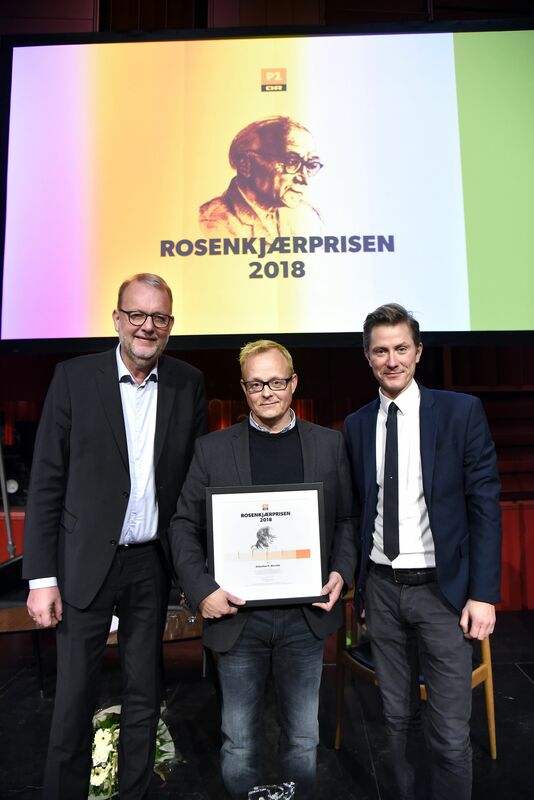 In 2018, Mernild won the Rosenkjær Prize, and was nominated Dane of the Year. Mernild worked in the US for more than six years at the International Arctic Research Center, University of Alaska Fairbanks (2006-2009), and at Los Alamos National Laboratory in New Mexico (2009-2013), and three years as senior research scientist/research leader at Centro de Estudios Científicos (CECs) in Valdivia, Chile (2013-2016). Since, 2016 he has been a Full Professor and CEO of the Nansen Center. The Nansen Center is an independent research foundation conducting basic and applied environmental and climate, ocean, and sea-ice research. In 2006, he was awarded a Ph.D. degree in climate change, glaciology, and hydrology from University of Copenhagen, Denmark. In 2002 he won the University of Copenhagen Silver Medal for a Price Dissertation in Hydrology, and in 2016 he was awarded a Dr. Scient. degree also from University of Copenhagen based on a habilitation thesis in climate change, glaciology, hydrology, and sea-level change with the title: "Water balance from mountain glacier scale to ice sheet scale - with focus on Mittivakkat Gletscher, Southeast Greenland, and the Greenland Ice Sheet". Since 2010, he has been the Danish representative of the International Commission on Snow and Ice Hydrology (ICSIH), under the International Association of Hydrological Sciences (IAHS), and from 2015-2018 been the Vice-President for ICSIH. Between 2014-2018 he has been a member of the Steering Group for CliC (Climate and Cryosphere) under the UN World Climate Research Programme (WCRP), playing a vital and active role in identifying and discussing high-priority research gabs in climate and ice. His research centers on local, regional, and global modeling using a wide variety of atmospheric and terrestrial models and observations with a specific focus on understanding and simulating climate change interactions related to snow, glacier ice mass-balance (for the Greenland Ice Sheet and mountain glaciers), and freshwater runoff (the water balance components) in Arctic, Antarctic, Patagonia, and the Andes. He has been leading several funded projects and expeditions to these geographical locations. He has been co-author on numerous international reports e.g., the annual Arctic Report Card from NOAA, and was a Contributing Author on the latest UN IPCC WG1 report, the fifth Assessment Report Report (Chapter 13). 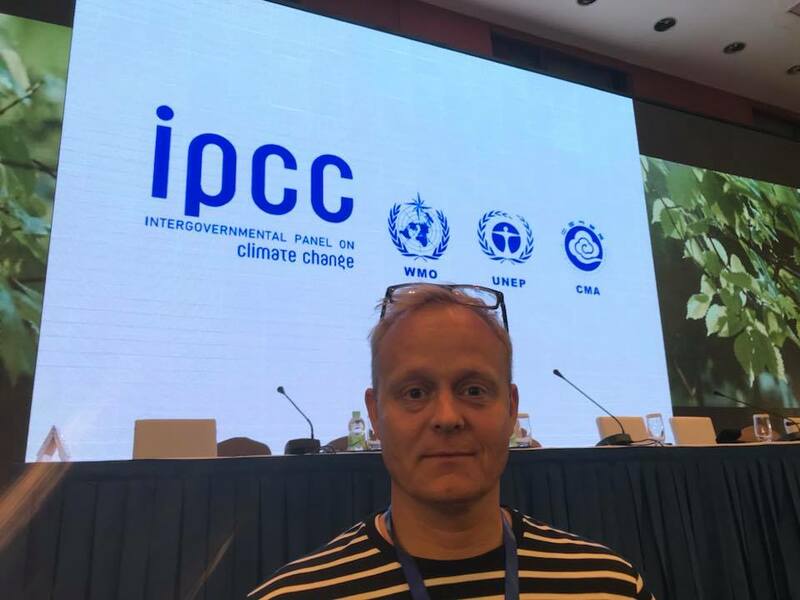 Recently, Mernild has been invited to participate in the upcoming Working Group 1 Contribution to the IPCC Sixth Assessment Report as Lead Author. Also, Mernild was co-author on the 'Melting Snow and Ice: A call for action' report. This report was presented by Vice President Al Gore at the UN Climate Change Conference in Copenhagen (COP15). On several occasions he has been a visiting professor e.g., at Colorado State University, University of Colorado at Boulder, New York University, New York University Abu Dhabi, Hokkido University, and Japan Agency for Marine-Earth Science and Technology (JAMSTEC). Mernild's interest and knowledge about climate change and ice in Polar and high mountain regions has been communicated in international peer-reviewed scientific papers (80; h-index 30 and ResearchGate), popular scientific papers (55+), newspapers, newspaper chronicles (60+)(e.g., together with Foreign Ministers of Denmark and industrial CEO's), radio, TV (media outreach 350+, e.g., live debates), and in the form of conferences and public presentations (e.g., at the Royal Danish Academy of Science, Danish Parliament, and Nordic Council of Ministers). Also, Mernild has a long leader education from the military (since 1993) - has been trained as an officer (Captain of the Reserve) in the Danish Army, and has been active in The Danish Reaction Brigade from 1996-2010. He has served under NATO in both Kosovo (2002) and Afghanistan (2006). Marital Status: Married to Birgitte. Two children: Frederik (born 2008) and Benedikte (born 2012).